Need gold fast? Can’t buy or upgrade your cards? Follow this guide, and you’ll be on your way to leveling your cards in no time. This guide will go through all the ways to get gold and how you can maximize your gold-grabbing efficiency. You’ll finally be able to upgrade that card to level 11 or buy that legendary you’ve always wanted. Make sure you rate us down below, and enjoy! Donating: This is one of the best ways to get gold in the game; in legendary arena you can get up to 1200 gold just by donating to your fellow clanmates. You will get 500 Gold + King Tower upgrade points for donating any epic card! Try and max out your limit every day. If your clan isn’t very active, then join a new one! You’re missing out if you don’t. Challenges: If you have any spare gems, challenges are the way to go. They guarantee the best value for your money, especially if you’re good enough to reach 10-12 wins. It also comes with the added bonus of cards such as rares, epics, and legendaries. Don’t have any gems? Follow our free gold guide to get more gold and gems which you can spend on chests, as well as buying and upgrading your cards! Battling: Make sure you battle constantly. 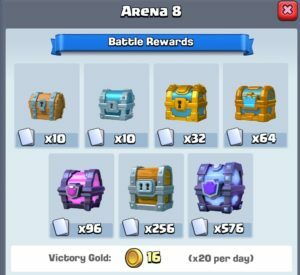 Each victory (up to 20) will give you a certain amount of gold based on your arena. While it’s not much, it will make a difference in the long run. Chests: Chests are your main source of gold. Each chest you open comes with a certain amount of gold, increasing with the rarity of the chest. If you always have a chest running, you’ll find that it isn’t that hard to get gold. Epic Sunday: A new addition to the game, you can now donate epics on Sundays. This will give you 1000 gold, a hefty amount, especially if you don’t use that particular epic. 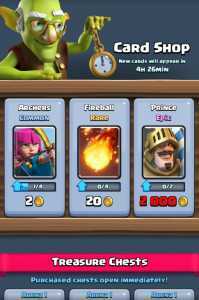 Gems: Buying gems is the best way to get gold. It is most efficient on challenges, but if you don’t want to spend hours spending a $100 worth of gems on challenges, you can always buy the value packs or just straight gold from the shop. Many of these strategies involve being part of a good clan. Watch this video on how to find a good clan and make sure you don’t get kicked out! Get your second account/smurf in the same clan as you. This way, you can request epics you don’t use like the baby dragon or rage and get easy gold from it. Always do challenges with your excess gems. It is the best way to spend your gems by far, and it’s quite entertaining as well. Buy the value packs for each arena; they provide unparalleled value! Play well in challenges. The rewards scale as you win, so a good performance will help you tremedously. Always do the free challenges. There’s a lot of challenge-based tips in here, but you should always do the special event challenges that are free. It’s free gold and cards. What’s not to like? People often make the mistake, especially in the early stages of the game, to level up anything that they can. This is an extreme waste of your gold, and you should focus your upgrades on the cards that you actually use. While buying a legendary may seem appealing, don’t rush out and buy the first one you see. Try to buy the one you like the most and that you feel complements your playing style. Upgrade your cards evenly. Don’t go on a spending spree and upgrade your zap to max level. If your rares are still at level six, you will have a hard time winning, even with that zap. Buy cards from the shop. Up until two commons and two rares, you are getting value for your money. Try and buy the cards you have in your deck, and you’ll be able to upgrade them in no time! Conclusion: Gold is hard to get, but with these tips, you’re looking at around 10-15k a week. That’s enough to get a legendary in three weeks. Pretty good, if I say so myself. My chest guide will be uploaded soon, and it will contain valuable tips that pertain to this as well.